EMMA MILLER lives quietly with her family on a farm in Kent County, Delaware. 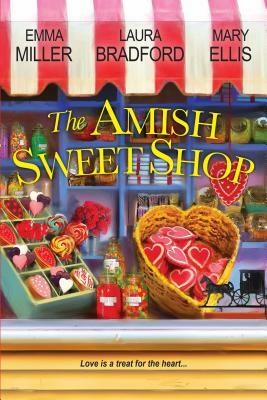 She also writes sweet Amish romances for Harlequin’s Love Inspired line. LAURA BRADFORD is also the author of the women's fiction novel Portrait of a Sister, and the national bestselling Amish Mysteries. Her next novel, A Daughter's Truth, will release in 2019. Laura lives in Mohegan Lake, New York. Visit her website at laurabradford.com. MARY ELLIS has written twelve award-winning novels set in the Amish community and several historical romances. Before “retiring” to write full-time, Mary taught school and worked as a sales rep for Hershey Chocolate, a job with amazingly sweet fringe benefits. She lives in Ohio with her husband, dog, and cat. Visit her website at maryellis.net or find her on Facebook at facebook.com/Mary-Ellis/Author.